Staphylococcal food poisoning results from the consumption of foods containing sufficient amounts of one, or more preformed enterotoxins. Food poisoning is characterised by rapid onset and symptoms including nausea, violent vomiting and abdominal cramping, with or without diarrhoea. 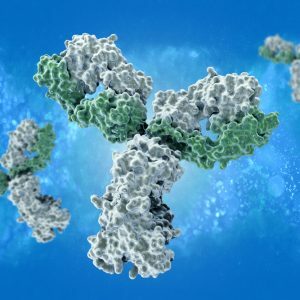 The Native Antigen Company offers an extensive panel of monoclonal antibodies to several types of Staphylococcus enterotoxin. Staphylococcus aureus is a gram-positive, non-spore-forming bacterium, that is a member of the Staphylococcus genus, which belongs to the family Staphylococcaceae. First recognised in 1880, S. aureus exists in many individuals as part of the normal microbiota, inhabiting the skin, nasal passages and respiratory tract. Pathogenic S. aureus secrete a range of potent toxins, which are a major cause of many pathogenic conditions in humans worldwide. Enterotoxins, produced by S. aureus, are a major cause of food poisoning and over 30 enterotoxins have been identified to date. Staphylococcus aureus enterotoxin B (SEB) and SEA are recognised as the most potent enterotoxins within the Staphylococcal toxin family. SEB and SEA enterotoxin also act as a potent bacterial superantigen, binding to and stimulating T lymphocytes and major histocompatibility antigens (MHC) on antigen presenting cells of the immune system. Two separate domains of the 28kDa SEB protein are responsible for the two different functions of the toxin (Fries, B). Staphylococcus aureus enterotoxins G and I have been associated with minor food poisoning outbreaks in Taiwan. Both toxins are heat-stable and are transmitted to humans via contaminated foods including meat, meat products and unpasteurised dairy products. Both enterotoxin I and G have also been linked to cases of toxic shock syndrome, Staphylococcal scarlet fever and neonatal enteropathy. SEB and SEA are considered to be major causes of food-borne, infection-causing food poisoning. The clinical symptoms of intoxication include fever, myalgia, vomiting, diarrhoea, headaches and in some cases shock. Currently there is no specific treatment for SEB or SEA mediated disease or shock. The condition is often self-limiting, but support with hydration is often required. Currently, no licensed vaccine or antitoxin has been successfully developed (Ortega E). 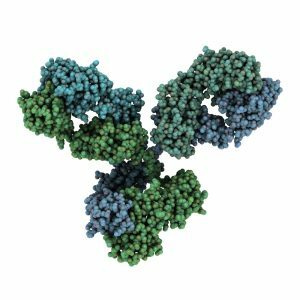 We are pleased to offer a wide range of antibodies, specific to different S. aureus enterotoxins to provide a range of options for studying these bacteria. 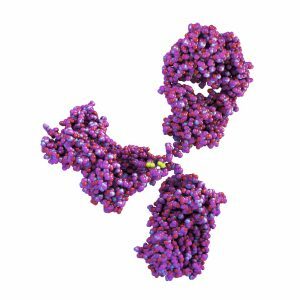 Our Staphylococcus antibodies include examples specific to enterotoxin A, B, E and I.